Pallets are perhaps the biggest micro-trend in the gardening world at this time. 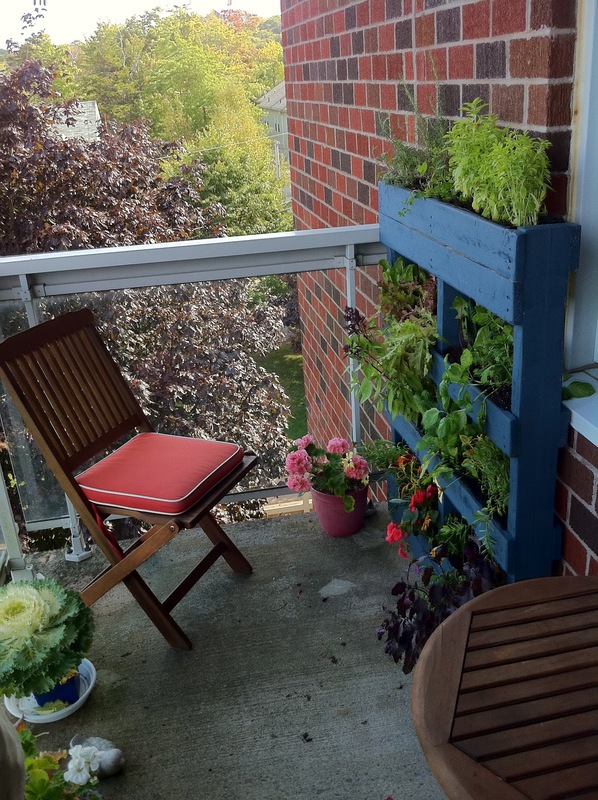 Photos of gorgeous gardens made from recycled pallets are all over pinterest and Facebook. Yet, it all started a few years ago when the popular garden blog, Life on The Balcony, ran a photo of a pallet garden on a small space deck. 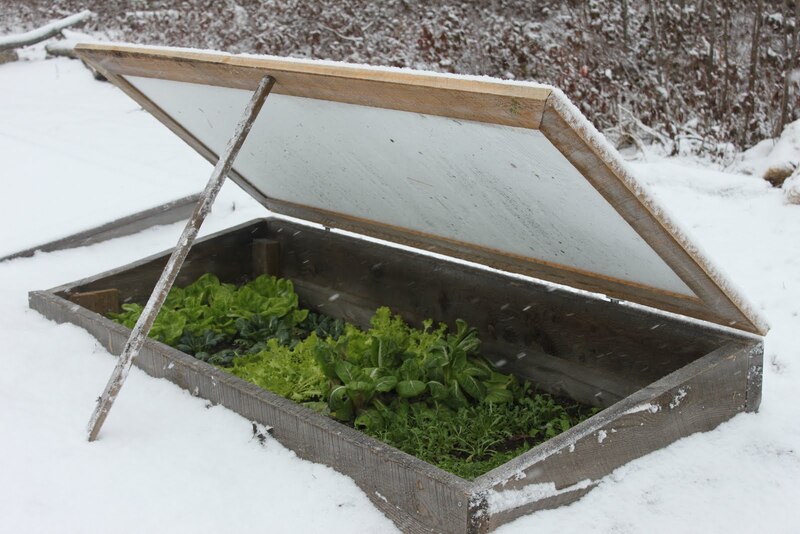 Since then, clever gardeners are finding many ways to turn pallets into productive veggie, herb and strawberry gardens, as well as grow ornamentals like sedums, nasturtiums, pansies and dwarf grasses in between the slats. 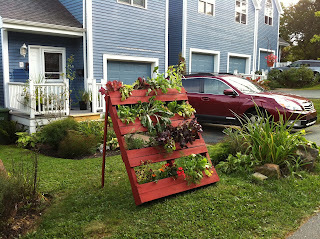 Yesterday, a press release was sent out announcing a new company in Halifax - Off the Wall Urban Gardening which aims to create and supply ready-made pallet gardens for new veggie gardeners or those with very little space. Read the details below and check out the photos sent to me by co-founder, Robert Cervelli. 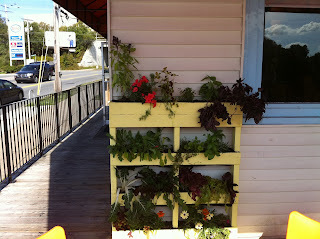 April 17, 2012, Halifax, NS -- So, you’ve got a 6th floor condo balcony and you want to start growing some of your own food? Impossible you say? 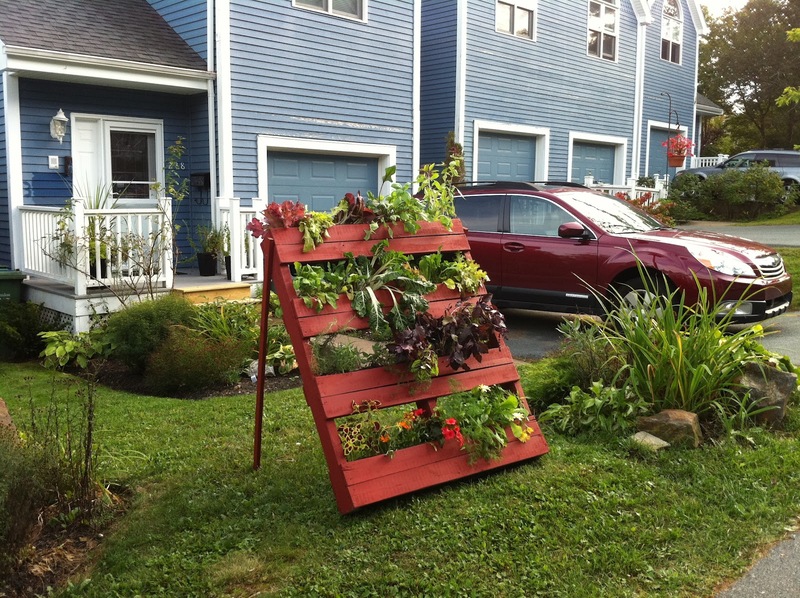 Nothing is impossible for “Off the Wall Urban Gardens,” a new business in Halifax focused on high-density urban gardening solutions. The new company specializes in helping people surmount the obstacles of growing food in small spaces, like balconies and small yards. Three innovative entrepreneurs have sourced an impressive array of small-footprint gardening solutions for urban growers. Co-founder Robert Cervelli says, “Our most popular product is a vertical garden, custom-built like a wooden pallet which stands upright and is filled with potting soil and seedlings of the customer's choice. It requires only two square feet of floor space but yields the garden equivalent of ten square feet.” The vertical garden is one of many solutions offered to the rapidly increasing demand for high-density urban gardening. 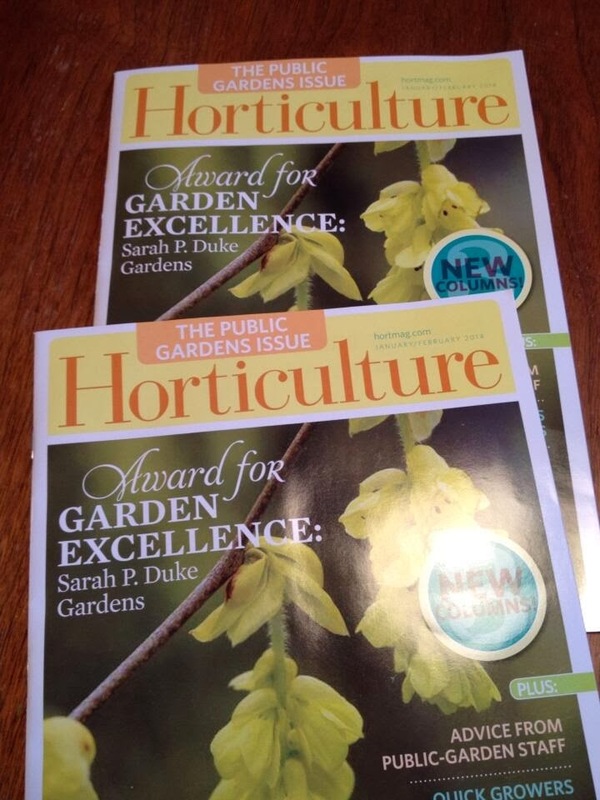 The company offers personal consultations, an urban gardening blog, raised-bed installation and mid-season replenishment transplants for extending the harvest season from April through November. They source locally grown, organic transplants only. Additional information can be found at their website: www.offthewallurbangardens.com. I've been seeing these everywhere too and as cute as they look, I've yet to see one produce anywhere near the amount of food some of these claim to be able to. Most of them look capable of handling some salad greens and a bean or two but not so promising for tomatoes or any of the heavy feeders. Am I missing something? You're right; the vertical garden pictured above grows lettuces, greens and herbs most successfully, as well as shallow root vegetables, like radishes. 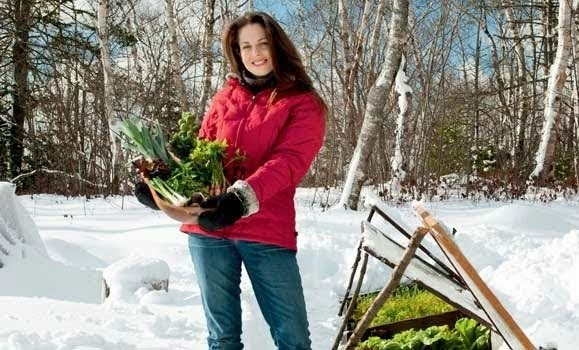 With a deeper growing medium -- and Off the Wall offers a couple such products -- tomatoes, beans and deeper root vegetables become more workable. Check out the Phytopod or Growing stand if you are interested. And, by the way, you are the first to call our products, "cute." I'll take it as a compliment. Thanks. very nice,,,,,,, it looks great thank you for sharing. We have two regular sized pallet gardens It is our first gardening attempt, ever (we live in an apartment and use the patio). One pallet has 5 types of lettuce. The other has spinach, basil, cilantro and green onions. We also have inverted tomatoes, beans and peppers. Our compost bucket accidentally sprouted acorn squash and two red potato plants (I thank the SO/DH) so I guess that's on the list and sitting in a planter at the moment. Oh, we also have cayenne and carrots in some containers. Our only problem is the amount of sunlight we are getting so we are having to make braces on the back of the pallets to point at the sun more as we re in an odd position to the sun in spring/summer. I feel we are behind in the growing progress because of the lack of full sun. 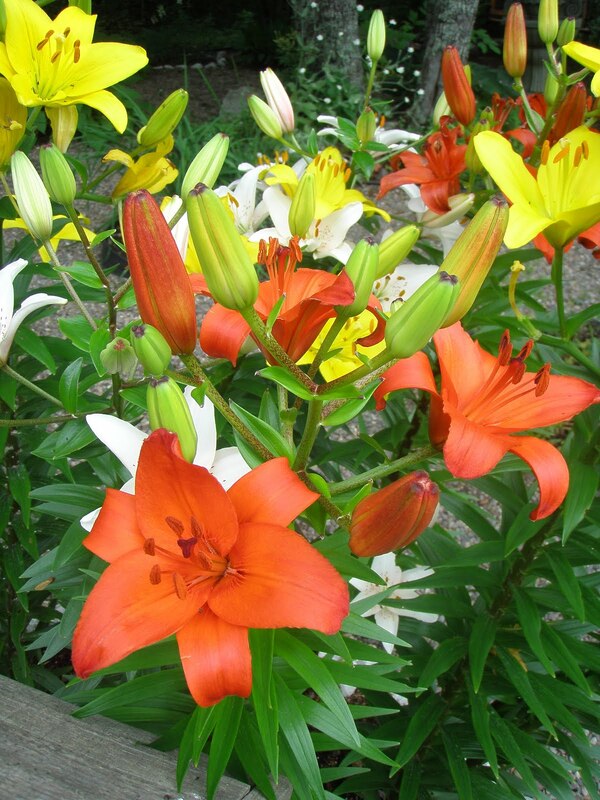 We have used all organic growing methods and seed stocks. I never imagined I would get into gardening as much as I do. I really wish we had more space!! !